What hisses and spits before 9am? Us without our morning caffeine! 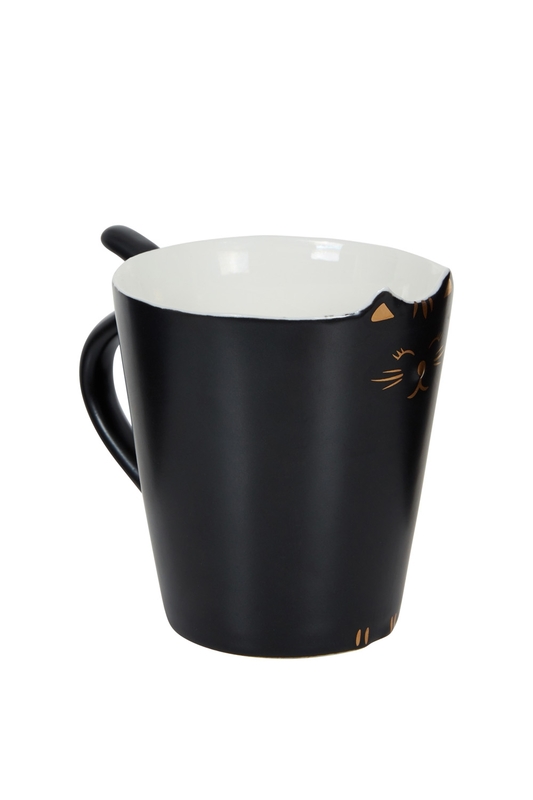 The Kitty Meow Mug in black is sure to raise a smile though, you can't help but smile at this cutie! Hand wash your Kitty please they don't like dishwashers! You can get Kitty Meow mug in White also because they get loney!